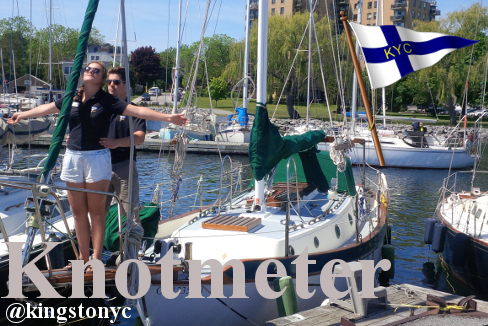 The Annual KYC Sailpast and Review of the Fleet by Commodore Rosemary Wilson marks the official opening of the Club for the season and will happen this year on Saturday, June 6th. The Commodore’s Boat, Kibitka, will be anchored and ready to receive by 1530. We have also booked the Roosevelts, with member Tom Stewart on vocals and harmonica, for the post-sailing party. ?Commodore Wilson and her fellow Flag Officers will Review the Fleet from Kibitka, which will be located about ¼-mile south of the KYC Flag Staff. 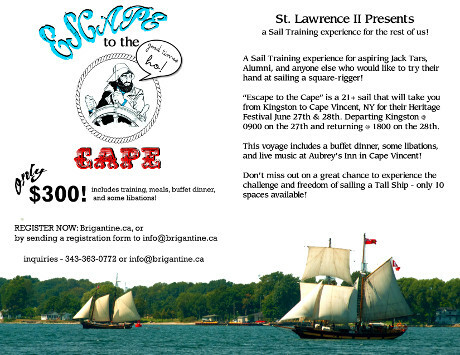 Participants should assemble on the water at 1500hrs, in the vicinity of the Orange Peel. After sailing-past, return to your mooring or tie up at the KYC Guest Dock and “dress ship”. Each Year the Reviewing Group Presents Awards for various reasons, some created during Sailpast?. Marinated Tofu and Vegetable Kabob for $18. Children will have the option of Burger or Hotdog for $7. Pictured above: Our staff preparing to have you for dinner! 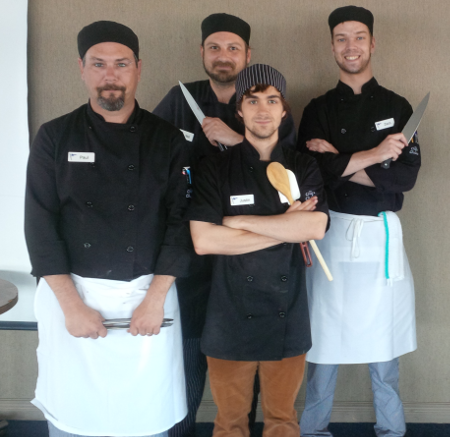 Ask about our "Chef-aboard" program!